A friend of mine has a two year old with a recent diagnosis of autism spectrum disorder. I asked her how it felt to have her child labeled autistic. Was it scary? Was it a relief to have a name attached to his symptoms? Did it help with funding for services? Her answer was “yes” to all of those questions. A medical diagnosis and its associated label can often bring a mixed bag of feelings. For some, it may bring relief that the symptoms have been classified and referral for appropriate services underway. For others, a definitive diagnosis may bring some fear that the label will stick, and that others will now view us differently. We all accrue many labels over the course of a lifetime, and as a society, we have gradually replaced demeaning labels such as “crippled” with more acceptable labels such as “disabled”. 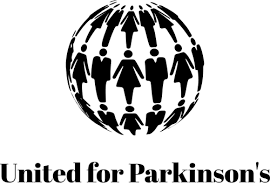 When a label refers to a group of people, such as: “Parkies” or “Parkinsonians,” it may represent a group you have found yourself a member of by default or diagnosis. The labeling may cause others to overly focus on the visible manifestation of the disease while failing to connect to you, personally. Perhaps the best course of action, would be to ask the person with Parkinson’s disease, how they would like to be referred to, and if that includes the disease diagnosis at all. Every year on April 16, otolaryngologist—head and neck surgeons and other voice professionals worldwide join together to recognize World Voice Day. World Voice Day encourages everyone, young and old, to assess their vocal health and take action to improve or maintain good voice habits. I love the theme of World Voice Day this year. Not only does it ask us to take care of our voices, but, it also asks us to be kind with our voices. This great human gift we possess enables us to use our voice to hurt or heal, to belittle or empower, to discourage or motivate. This month, you will hear lots of people using their voices to raise awareness about Parkinson’s, join them if you can, and use YOUR voice to tell your story and be an inspiration to others. What I’ve learned professionally and personally about Parkinson’s disease. I’m often asked why I am so passionate about working with people with Parkinson’s disease. April is Parkinson’s awareness month, and there will be numerous walks, talks, webinars, and other events in communities around the world. The Parkinson’s community of patients, care partners, physicians and professionals has grown tremendously in the last 18 years since my own dad, diagnosed with Parkinsonism at the age of 80, passed away. New medications, surgical interventions, therapies and treatment options have all improved significantly, and information is now accessible 24 hours a day via the internet changing the way we learn and communicate with one another. But the day to day struggles I witnessed with my dad and my family have not changed all that much, and my desire to ease some of those burdens along with a belief that the ability to speak is among our most precious human rights fuels my passion to educate, motivate, and do what I can to preserve communication for persons with Parkinson’s. The relationship I form with a patient is sometimes intense, and requires a lot of mutual sharing and trust. If open to it, for both the patient and therapist, the relationship formed during therapy encounters can be a vehicle for finding greater meaning or purpose in our lives. If you are someone with Parkinson’s disease who has not yet been evaluated by a speech-language pathologist, consider adding it to your “to do list.” Speech, voice, and swallowing problems are common symptoms of Parkinson’s disease, and early treatment can reduce Parkinson’s impact on your quality of life. Join: Mary Spremulli,CCC-SLP, Michelle Martin, Program Coordinator, Hope Parkinson Program, Cape Coral, Fl; Carisa Campanella, Program Coordinator, Neurochallenge Foundation, Sarasota, Dr. Ramon Gil, Neurologist. Port Charlotte, Fl., and Gretchen and Michael Church, authors and Parkinson’s advocates, for a Parkinson’s Awareness discussion. 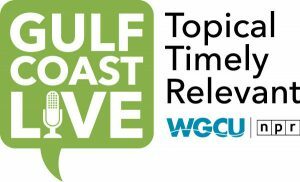 Gulf Coast Live is a live, locally produced, call-in radio show focusing on issues that matter to Southwest Floridians. 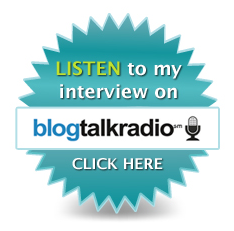 It’s your chance to share your thoughts and connect to your community, live on the radio, and interact with experts, decision makers and each other via phone calls and social media. Hosted by: Julie Glenn Produced by: Mike Kiniry.